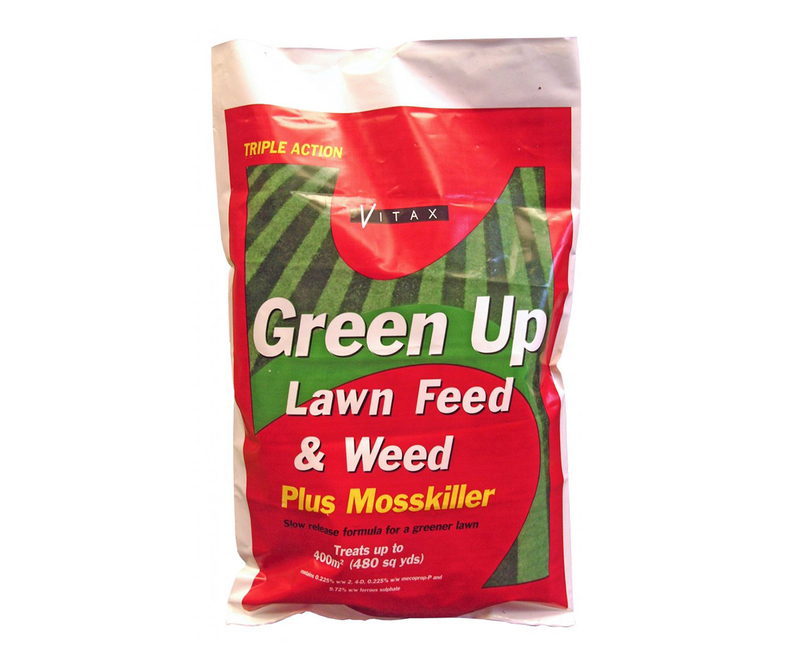 Green Up Feed, Weed and Mosskiller is a granular, all round support for lawns and turfed areas. Controls common lawn weeds, it feeds the lawn at the same time whilst killing existing moss. Eye protection and gloves should be used during application and hands need to be washed thoroughly after use. Green Up Feed, Weed and Mosskiller can be applied between May and September when grass, moss and weeds are actively growing. The granules should not be allowed to come into contact with crops or other growing plants. Only use on established turf and avoid walking on treated areas until it has rained or been watered in. As the moss dies it will blacken and can be raked out. Any additional discolouration of the turf is temporary. Re-treatment may be necessary for heavy moss infestation or if the moss returns.